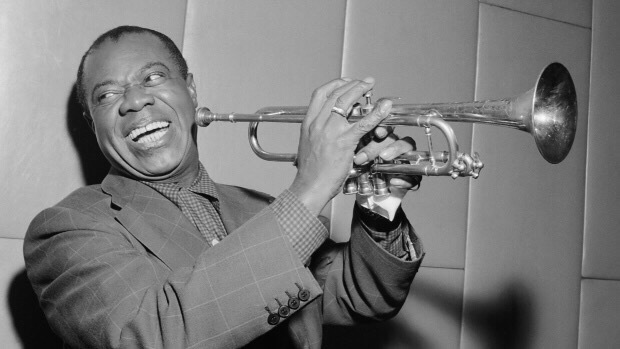 Louis Armstrong’s rendition of What a Wonderful World is a favorite of mine. I love the last part of the song, and the lyrics that cause my soul to dance. If you’re having a hard time remembering them, here you go: I hear babies cry, I watch them grow, They’ll learn much more, Than I’ll ever know. And I think to myself, What a wonderful world. Yes, I think to myself, What a wonderful world. Oh yeah. I know it’s a complex and challenging world that we live in. I know the political scene is nasty and growing nastier by the hour. I realize that terrorism, bigotry and scandal monopolize the media, on every level. And yes, it’s on both sides of the political aisle, gender, social scale, and sexual identification. Much of what we see happening in our modern world is a macro view of a micro problem. The challenges we face are massive. What if we could create a checklist for every man, woman, or child that would instigate a BETTER life, BETTER family, BETTER church, BETTER community, and yes, a BETTER world? What if? What if we determined in our mind, that we were to instigate better? What if our hearts were to be repurposed for better, not anger? Here’s a checklist of five ways that each of us can instigate better. Suspend judgement on people and organizations that we really have no knowledge of. Think about it. How much better would this community be if we simply allowed the Divine to judge and we chose to extend grace? How much better would our world be if we were to set aside our perception and bias, and allowed those that we do not understand to work on their own lives, as we work on ours? Forgive more, blame less. We seem to all want to blame somebody for the mess this world is in. We blame politicians that we elect. We blame educators for our kids behavior, we blame the church for not being perfect. We blame so many things on how our parents raised us that we can’t function based on whether our dad loved us enough. I could go on and on. General Norman Schwarzkopf said that “to succeed you must spend your time fixing problems, not fixing blame.” There is plenty of room to fix in our own lives, especially if we place the target on our mirrors. Choose to be honest in every matter. In my teenage years, I was really good at not getting caught. I could tell a “little white lie” with the best of them. As I grew older, the consequences grew in significance. As a pastor, there is no room for anything less than truth. By the way – that is true in your life as well. Every time we speak an untruth, our soul spikes on the richter scale of turbulence. Listen more and talk less. Have you ever found yourself listening to somebody, but you aren’t really listening, you are planning how you are going to reply? Me too. What if we listened with a desire to understand, not to manipulate? Listening is a learned skill. Let’s all commit to improving our skills. Give more and take less. This is true with our gifts, skills, strengths, and finances. If our desire is to instigate better, it will include, on every front, a passion to give, not get. When we spend all of our time in want, we remain stuck in the assumption of entitlements. When we venture out into the deep water of sacrificial giving, we encourage others to do the same. Is it not more blessed to give than to receive? And I think to myself…What a wonderful world…Oh yeah!